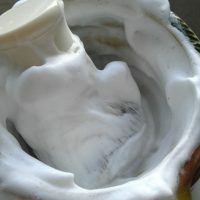 If you have problems getting a comfortable wet shave with conventional shaving soaps, which tend to iritate the skin, why not try a natural shaving soap instead. The right shaving soap for you should not cause any irritation and you should be able to get a comfortable, close shave. There are now lots of natural shaving soaps on the market which do not contain harsh chemicals which can often irritate the skin. Our shaving soaps are completely natural and do not contain any hramful chemicals. Our natural shaving soaps form a dense latter which protects your skin during the shaving process, thats what a shaving soap is supposed to do. So if you have problems shaving try a our natural products and you will feel the benefits that only pure natural products can offer.